One of the characteristics of the present day, is the vast and formless pool of expertise available on almost any topic imaginable. Photography is no different, and in my preferred genres of landscape and nature, there are many people offering to accompany me to Iceland or to South Georgia or wherever, and to teach me all they know in exchange for some eye-watering sums of money. Sadly, my aforementioned eye-watering sum just went to the coffers of the service department of my car dealer for a replacement engine after the disaster that befell me in the Wairarapa as described in the last edition. I have the car back now and life will necessarily resume without the personal intervention of any of these experts. On the other hand, even if I had not had the breakdown, I would have put the money to better use. Meanwhile, during the last week, I got out and about. In all our years in Wellington, Mary and I had never spent any time in the Battle Hill Farm Park which is on the Paekakariki Hill Road. 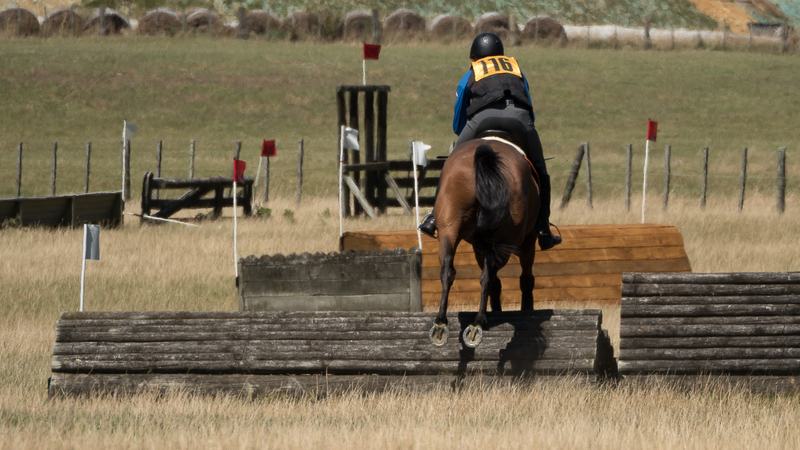 On the day we visited, there was a pony club enjoying a bit of a trek, and one rider cantering about jumping obstacles. The Eastern Hills of the Hutt Valley seem to provide the perfect barrier on which the Nor’Westerly winds form lenticular clouds. 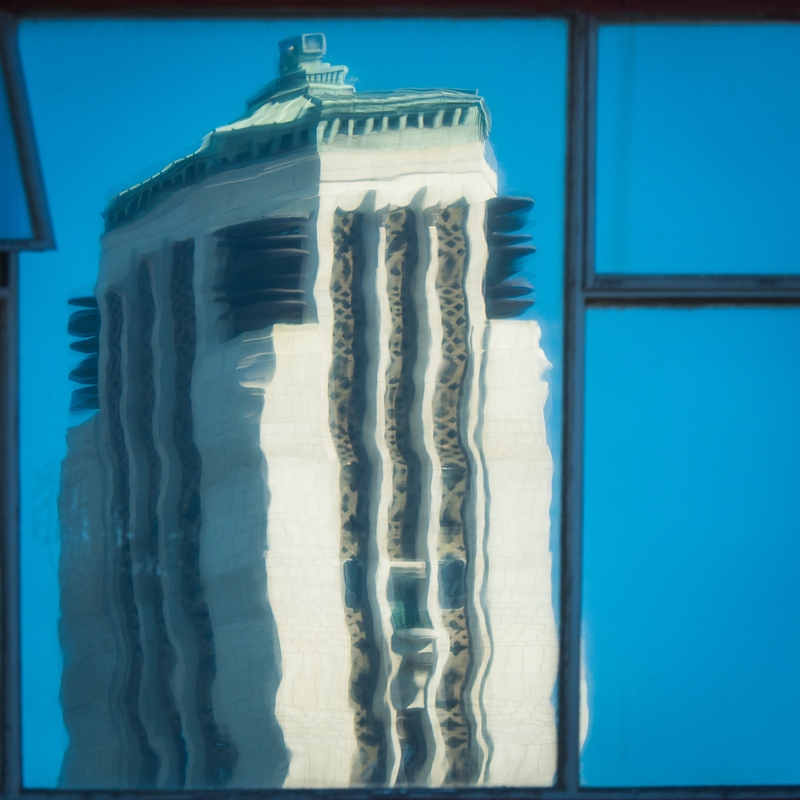 A still day in the city and I wandered around Taranaki St and spotted the Carillon reflected in the window of a small commercial building. Just around the corner from there is the most recent war memorial art work. 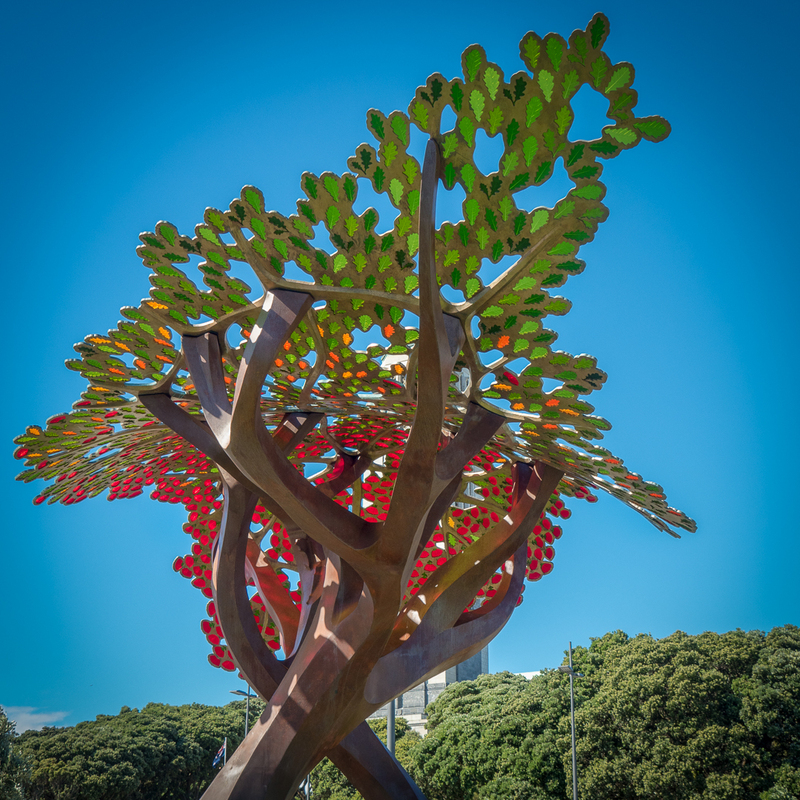 It was commissioned by the British Government from Weta Workshops and apparently represents the mingling of the oak and the pohutukawa trees. This entry was posted in Animals, Landscapes, Light, Paekakariki, Reflections. Bookmark the permalink. 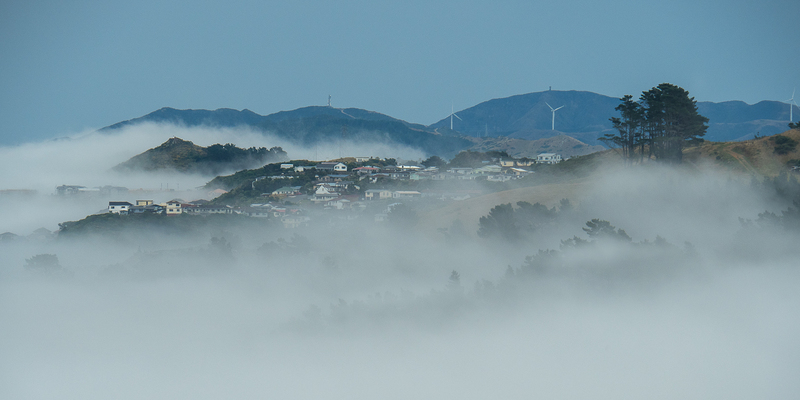 I really like the Kapiti shot. Thank you.